· Preventing contact-related complications – We may assume that we can continue wearing our contact lenses every day for many years without any form of health risks. The fact of the matter is that contact lenses may result in complications such as corneal ulcers. This problem can occur if bacteria gets under the lens, causing an infection. Although the lenses used today are much safer than they once were, some experts notice that most cases of corneal ulcer involve people who wear contact lenses. You can prevent this problem by undergoing the most reliable LASIK eye surgery Michigan has and eliminating the need for the use of contact lenses. · Safer procedures – Much of the skepticism about LASIK arose because of the higher risks of complications when the procedure was initially introduced. Over the years, there have been several improvements in the technology used for this surgery in terms of equipment and technique. With these latest developments, the risks associated with LASIK surgery are minimal and most of them are mild. Moreover, there are treatment plans in place, in case any complications arise. · Experienced surgeons – Most of the eye surgeons we see today have had many years of experience in the field, so they have the ability to ensure that everything goes smoothly. However, it is important to remember that there are inexperienced, uncertified, or untrained “surgeons” in the market as well. 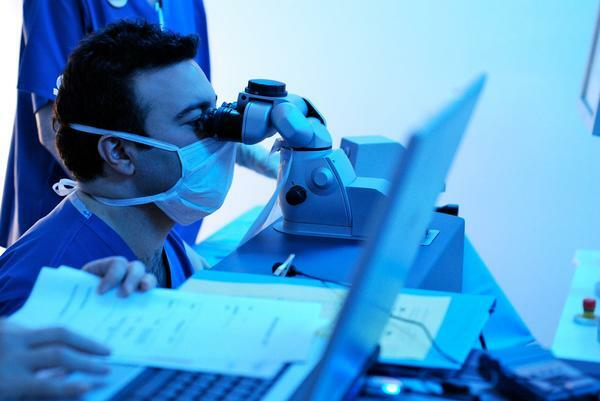 When undergoing the best LASIK eye surgery Michigan has to offer, choosing an experienced and reputable surgeon can ensure minimal risks of complications. Correct near-sightedness – If you are near-sighted or are suffering from astigmatism, LASIK is highly recommended. The procedure works especially well in correcting these issues. However, those suffering from presbyopia may not experience positive results from this surgery because the condition has already had an impact on the lenses of their eyes. In case of far-sightedness, LASIK may be able to correct the issue as long as the procedure is carried out by a specialist with several years of experience. The most crucial decision lies is in choosing the right surgeon, who can provide the most reliable LASIK eye surgery Michigan has to offer.